I loved this little piece by Bryan Kennedy titled “It’s just wood.” A concise philosophical statement about the freedoms that come along with knowing how to make things. 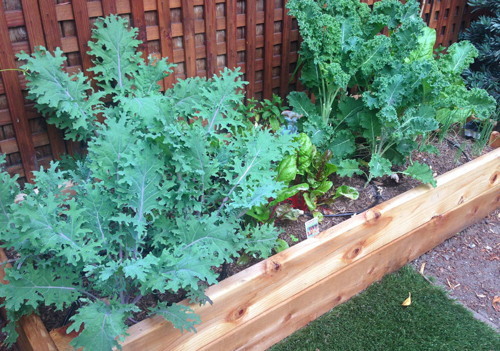 This entry was posted in Everything Else and tagged diy, making. Bookmark the Permalink. Bulbdial from @EMSL completed. Thanks again to @maltman23 & @jprodgers for the terrific solder workshop at @netz39. This entry was posted in Electronics, EMSL Projects, Open Hardware and tagged bulbdial clock, diy. Bookmark the Permalink. 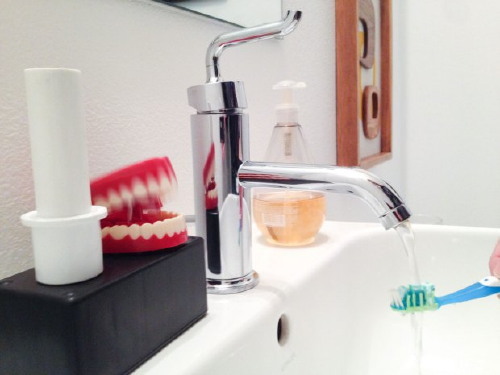 Our friend Steve Hoefer cleverly modified a pair of wind-up chattering teeth to serve as a toothbrushing timer with an integrated toothbrush holder/switch to help ensure thorough brushing. Learn how to make your own (using a 555 timer!) at Make Projects. This entry was posted in Electronics, Engineering and tagged diy. Bookmark the Permalink. 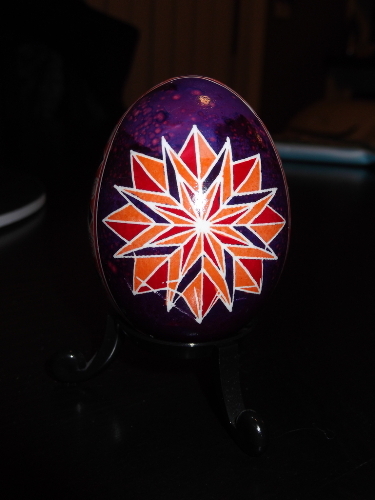 Ann posted instructions in our forums for creating an electric kistka (wax pen) for the Eggbot for traditional Pysanky egg dying techniques. She used nichrome wire, krylon tape, a modified kistka, and a 2xAA battery holder with a switch and described how to mount it in the Eggbot. She posted a couple of designs to Thingiverse demonstrating the technique including the rose design pictured above. 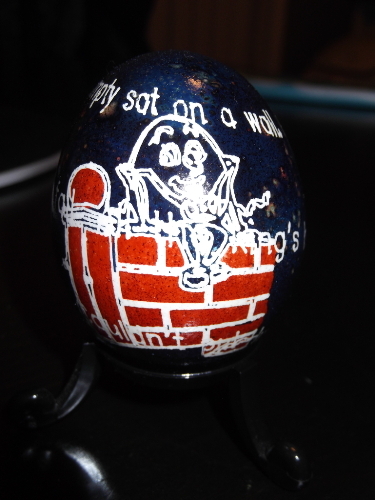 Using eggbot and custom electric kistka, plotted the Humpty Dumpty picture and text on an egg. First plotted outline, dyed brick, colored in bricks by hand with kistka, dyed blue. You can check out her other designs for the Eggbot on Thingiverse. 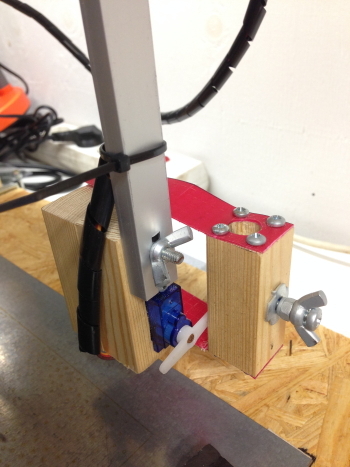 This entry was posted in Art, Eggbot, Electronics, Engineering and tagged art, diy, eggbot, kistka. Bookmark the Permalink. 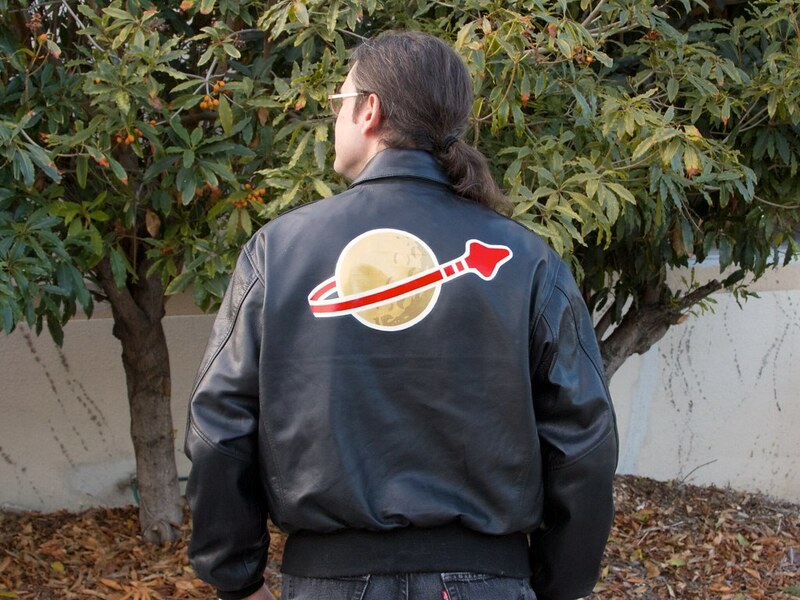 Here’s a little project that we’ve been working towards for a long time: a custom-painted leather flight jacket (“bomber jacket”) featuring the “Classic Lego Space” logo. (Yes, I totally spent years serving in the Lego space corps!) And, if you’ve ever wanted to make your own painted leather jacket — whatever the theme — here’s how to do it. This entry was posted in Art, Costumes, EMSL Projects and tagged art, diy, jacket, lego, painting. Bookmark the Permalink. I took the more DIY model and built a LEGO Snap-O-Lantern. This entry was posted in Electronics, Engineering, Microcontrollers and tagged diy, holiday, lego. Bookmark the Permalink. I heard you on Science Friday talking about halloween, went home and looked on your website at Snap-O-Lanterns, and was inspired. 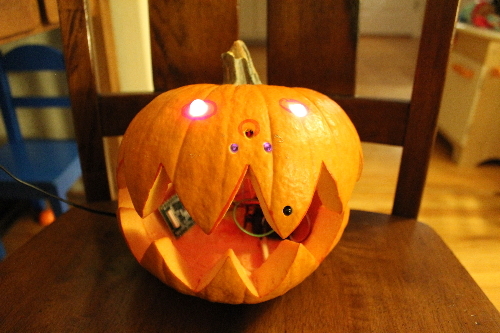 I added a phototransistor and infrared LEDs to make a motion sensing small pumpkin that can try to bite you. Thanks for sharing your project, Gabe! If you built a Snap-O-Lantern or were inspired by any of our Halloween projects, we’d love to see your photos in our flickr group. This entry was posted in Electronics, Engineering, Microcontrollers and tagged diy, holiday, science friday. Bookmark the Permalink.